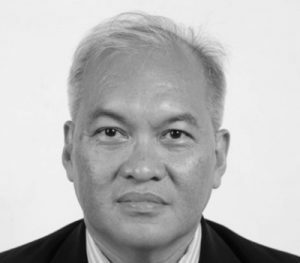 Oswar Muadzin Mungkasa holds Master Degree in Urban and Regional Planning from the University of Pittsburgh and Ph.D in Public Economics from the University of Indonesia. Mr. Mungkasa held several key managerial posts at the central government of Indonesia prior to the appointment as Deputy Governor of Jakarta for Spatial Planning and Environment in November 2015. Mr. Mungkasa has initiated 8 (eight) Grand Designs for solving Jakarta’s issues in collaboration with NGOs and other relevant stakeholders. The five Grand Designs were launched by the Governor of DKI Jakarta while the rest are being developed. Besides his role as Deputy Governor of Jakarta for Spatial Planning and Environment, Mr. Mungkasa has also been served as the Chief Resilience Officer of 100 Resilient Cities program in Jakarta since May 2016. He has led the Resilient Jakarta Secretariat which serves as a hub for integrating wide range of stakeholders to develop City Resilience Strategy and to achieve a more Resilient Jakarta.